Oraib, a Palestinian chemistry student from a low-income family, never imagined she could become a writer, with her books displayed in a library. One day she stepped into a community library supported by UNESCO in her city, Nablus, to attend a free workshop on self-development. She started a journey that brought her to become a volunteer in the library, to use it actively for her research and finally to publish her first book, “Whispers”, later followed by a novel called “My Struggle with Books”. The “Support Programme for Palestinian University Students Under Conditions of Severe Poverty” was started by the UNESCO Ramallah Office, funded by the Saudi Committee for the Relief of the Palestinian people, implemented by the Health, Development, Information and Policy Institute (HDIP), a Palestinian NGO, and supported by Sarah El Attar, from Belgium, an international UN Volunteer with UNESCO who spent almost three years working on the project through UNESCO’s Education Unit. The aim of the project was to support vulnerable higher education students who were struggling to buy text books, to collect money for photocopying/printing and to find a quiet place for study and research. Ten community libraries were opened in the Occupied Palestinian Territories (eight in the West Bank and two in Gaza), fully equipped with furniture and computer labs. Each library started providing services such as lending textbooks, free internet connection, cheap photocopying and printing. Each library mobilized and trained a team of youth volunteers to provide support to the librarians with daily library work, such as book registration and ordering. In addition, the volunteers provided support to fellow students by tutoring subjects of their specialty. At the end of the project in 2017, more than 600 volunteers had contributed to the activities of the ten community libraries and more than 24,000 vulnerable higher education students found the support they needed to carry out their studies. Through the volunteers' support, the libraries could organize hundreds of activities including workshops, community meetings, art lessons, reading clubs and competitions, summer camps for children, round table discussions and training courses (for nominal fees or for free). During her daily work, UN Volunteer Sarah El Attar has come across a lot of success stories. Mervat, for example, was studying for her master’s degree in history at Al-Najah University in Nablus. For the entire course of her studies, she heavily relied on the library and its services. Today, her Master thesis on life in Palestine during 17th-18th century has been published and is available at the library. Adel Hassan is a 20-year-old accounting student in Tulkarem, in the West Bank. He always had exceptional academic records and excellent grades. However, he needed to find a way to cover his expenses for text books. He started to offer courses at the library to other accounting students, for small fees. This enabled him to support himself and helped other students to strengthen their accounting skills. 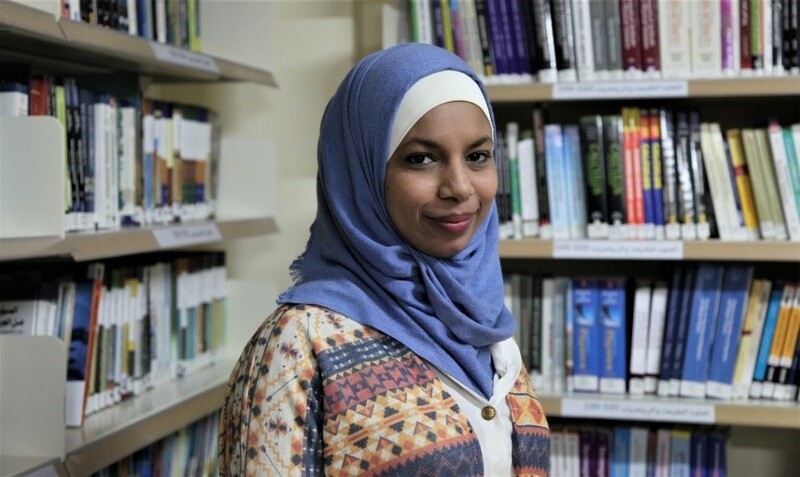 Ayah is a 23-year-old girl from Gaza, studying English at Gaza University. Since she was a child, Ayah loved to draw, but never had the opportunity to develop her talent. At the community library, Ayah rediscovered her passion to draw and started to give art classes. Her first class was attended by 30 enthusiastic participants. According to the Palestinian Central Bureau of Statistics (PCBS), more than a quarter of all Palestinians live in poverty (38 percent in the Gaza Strip, and 18.3 percent in the West Bank). More than 28 percent of youth aged 15-24 in the West Bank and 46 percent in Gaza are unemployed. This severe financial situation forced more than 58 percent of Palestinian families to reduce spending on basic needs, including education. For many students that were interviewed, the cost of the course materials was a key limiting factor. The community libraries provided an affordable alternative to private bookshops or university-owned libraries/printing centres. At the individual level, the project improved access to quality education for thousands of students. By a rough calculation, the project allowed them to save more than half the cost needed for purchasing textbooks, printing and copying course materials. On a global level, the project is strongly aligned with the efforts of the UN and the Palestinian National Policy Agenda (NPA) toward achieving the SDGs in Palestine: more specifically SDG4, that aims to “ensure inclusive and equitable education and promote lifelong learning opportunities for all”. The beneficiaries were mostly female students. The occupation of the territory affects the ability of boys and girls to access education. But girls are more vulnerable, because their families become increasingly protective to avoid potential risk and harassment at checkpoints. The project aimed at addressing this issue, strongly encouraging female students to participate in the libraries’ activities. Similarly, the project’s focus on people with disabilities enabled this group to better integrate in the community, lowering the impact of the obstacles they face toward accessing education. The UNESCO project ended in 2017 but all the community libraries are still functioning, except the one located in Gaza City, which was badly damaged during Israeli airstrikes on 14 July 2018 targeting a nearby building. The project undoubtedly expanded beyond its original scope leading to numerous results. Due to the enthusiasm, commitment and motivation of the project team (librarians and volunteers), the libraries turned from “traditional books/photocopying centres” to “community hubs for lifelong learning”. In the past, libraries were often perceived as “traditional and boring places”. The change in the perception of the community led to more partnerships, and a stronger sense of commitment and ownership toward these libraries.